The market is noisy. It is the same as expected on last Friday. This situation is likely to continue this week. Gold: Gold prices are fluctuating as expected. 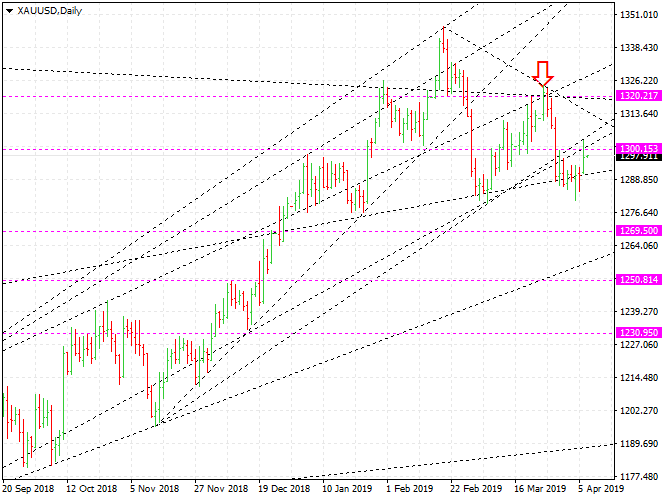 XAUUSD will decline. Gold prices will drop to at least $ 1269. The rising gold price gives traders an opportunity to sell. The imprtant price is $ 1301.73. If they go above $ 1305, it would be a very good opportunity to sell. The silver prices are rising, but that does not mean buy-chance. The important price is $ 15.37. If XAGUSD climbed above $ 15.37, it would be better to actively seek opportunities to sell. The XAGUSD will be down to $ 14.68, at least. I will hold the sell-position, and if they soar, I will sell more. Platinum is moving as I expected. The important resistance line is 945. Platinum has not been in the upward trend yet. If we wait, a safer and better buying opportunity will come. WTI: The oil market is very complicated and noisy. Crude oil prices are rising as expected. Perhaps, this rise may be called Trump-Prices. Brent oil will rise to at least $ 75.3, and WTI to at least $ 68. What we have to consider is that this situation will last for a long time and will become even worse. Euro: The euro does not have room to move. EURUSD is stuck between 1.1173 and 1.133. It would be better to wait until the euro exchange rate goes out of this range. EURUSD is in a downward trend.